Over the past few weeks I've been saving money and I finally decided to treat myself with a little shopping trip. Only appropriate right? 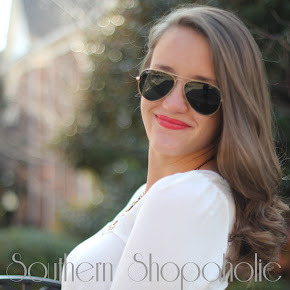 I just wanted to share a few new additions to my closet since they're still online! To start off, I bought this wonderful peplum (Everly) top from BlueTique. It fits like a glove! And the material is a much more gold color than in the picture. I'm thinking perfect for the holidays! 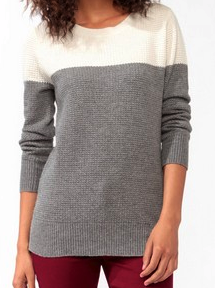 This sweater I found when I did my last blog post about sweaters. 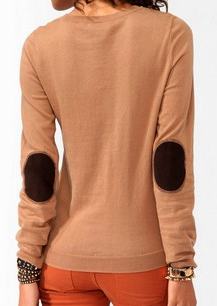 The heart shaped elbow patches are to die for! I got the sweater in today and it's soon to be a favorite! My boss recently gave me a gc to Macy's where I found (and bought) this WONDERFUL mint sweater by Free People. I found it online and it's actually cheaper online than it was in the store! Thankfully I had a gc to pay for it! Thanks P! And who doesn't love a two tone sweater!? Eekk! So those are a few of my newest additions! Hopefully they'll be some of yours too!